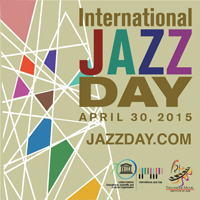 Before the announced concert of the Festival-contest «Jazz unites us!» on International jazz Day, left very little time, and we begin to acquaint you with musicians, unforgettable meeting with them waiting for you at 6:00 pm April, 26.2015 at the Odessa Theatre of Musical Comedy. Thanks to our Indonesian partners the world famous musician from Jakarta, who has a great respect among the experts in contemporary jazz in many countries, the owner of the highest awards of international jazz competitions, Dwiki Dharmawan, will take part in the concert program. The creative biography of the musician began when he started to learn classical piano at the age of 6 years, and at the age of 13 years, he began to pursue jazz. He embark upon his professional career in Krakatau ensemble in 1985. 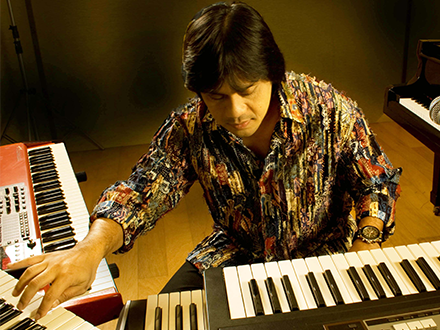 Dwiki Dharmawan’s style of play combined the national ethnic identity and the techniques of jazz improvisation. Numerous performances and 8 albums brought him the fame and the strong position in the popularity ratings in professional journals, including the journals in the United States, where the national music of Indonesia was noted as an important component of world music culture. The collection of professional awards including the highest dignity: «The Best Keyboard Player» on the Yamaha Light Music Contest 1985 in Tokyo, the Grand Prize Winner at the Asia Song Festival 2000 in the Philippines, a special prize «For the Best Original Music» at the Indonesian Festival in 1991 and others. Adam Golucki — drums, Pawel Urowski — acoustic and electric bass, Piotr Checki — saxophone. The trio represents the young generation of modern jazz of Poland. 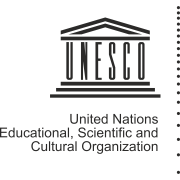 Musicians participate in several joint projects in cities of Europe and also perform separately. We will tell about them in one of our next publications. We thank the Embassy of the Republic of Indonesia in Ukraine and personally Her Excellency Madam Ambassador Extraordinary and Plenipotentiary Niniek Kun Naryatie for her warm collaboration in order to make the meeting of Odessa audience with these wonderful musicians possible.